I think I've mentioned before that I use a lot of Kiehl's stuff, they're the best. Now they're teaming up with Equinox to provide members with a better gym experience. I personally haven't used Equinox, I toured it though when their first facility opened up in the Back Bay / South End area and I recall it being quite nice. Equinox employees have recently noticed that Boston’s gym-goers are spending more time at the gym, and it’s not just to fulfill their New Year’s resolutions – with the new addition of Kiehl’s best-selling products in the locker rooms, members clean-up post-workout with a $30 shower! Featuring products that cater to all skin and hair-types, these gym-mavens’ locker room routines now mimic their at-home regimens with Kiehl’s coconut-derived Amino Acid Shampoo, detangling Hair Conditioning & Grooming Aid Formula 133, Grapefruit Liquid Body Cleanser and luxurious Creme de Corps body moisturizer– an experience that is worth approximately $30 in product as part of their membership. 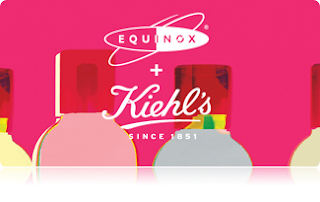 0 Response to "Kiehl's + Equinox = Awesome"